A new memory care program is under development at Palo Alto-based Home Care Assistance, led by Dr. Samuel Gontkovsky. Dr. Gontkovsky joins Home Care Assistance from The Nebraska Medical Center, where he was actively involved in research, training, and clinical work as the head of the Department of Psychology and the Pain Management Program. Each client will undergo an initial assessment with Dr. Gontkovsky, who will then create an individual treatment plan based on the client's symptoms and level of impairment. Home Care Assistance is developing specific activities and interventions thought to delay onset of symptoms and slow the progression of Alzheimer's and dementia. Care managers and caregivers will be taught these techniques, and the memory care program will launch later this year. Dr. Gontkovsky has a Doctor of Psychology degree in Clinical Psychology from Nova Southeastern University in Fort Lauderdale, FL, and completed Fellowship training in Neuropsychology at the University of Oklahoma Health Sciences Center in Oklahoma City, OK. He lives in San Francisco. 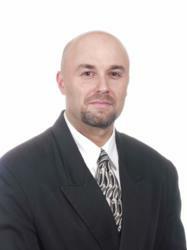 Dr. Gontkovsky joins a dedicated and capable staff. Home Care Assistance of Palo Alto was founded by psychologists Dr. Kathy Johnson, PhD, CMC and Dr. James Johnson, PhD, CMC. The office has been the leader in home care in the Bay Area for the last nine years. The company is dedicated to helping seniors live well at home by maintaining health, independence and quality of life. Learn more at http://www.HomeCareAssistance.com.